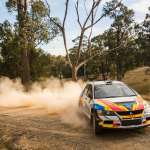 The MTA New South Wales Rally Championship (NSWRC) will be hotly contested over six rounds in 2019, including a return to the National Capital Rally as part of the CAMS Australian Rally Championship, in May. Next year’s title race will kick off at the Mitta Mountain Rally at Mitta Mitta in Victoria on 2 March, continuing the successful joint venture with the Victorian Rally Championship (VRC). A return to New South Wales for the Caves Classic at Oberon will run on 13 April before the NSWRC heads to the National Capital Rally in Canberra for round three on 11 May. The picturesque Rally of the Bay will be round four on 29 June and will welcome VRC competitors for another joint round before NSWRC competitors head to Northern NSW for the Bonalbo Rally on 20 July, where they will be joined by Queensland Rally Championship teams. The NSW rally title will again be decided at the Monaro Stages in Cooma on 19 October. Rally NSW has also released 2019 calendars for the East Coast Classic Rally Series, the NSW Clubman Rally Series, the NSW Development Rally Series, the NSW Hyundai Rally Series and the NSW Open Rally Series. Click here to find out more. The 2019 MTA NSW Rally Championship events were confirmed by the CAMS NSW/ACT State Executive on 5 December.